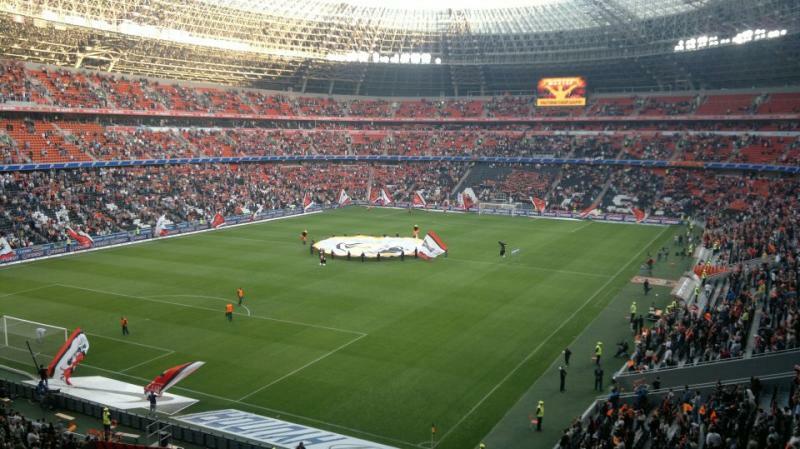 The Donbass Arena replaced Shakhtar’s old Shakhtyor Stadium, where it had played since 1936. The new arena came to fruition after Rinat Akhmetov became president of the club in 1996 and subsequently started investing in the club to raise its profile. After the first successes on the pitch had been achieved, a new stadium was the next logical step. Construction of the Donbass Arena started in 2006 and was completed in 2009. The total budget of the project was US$400 million. 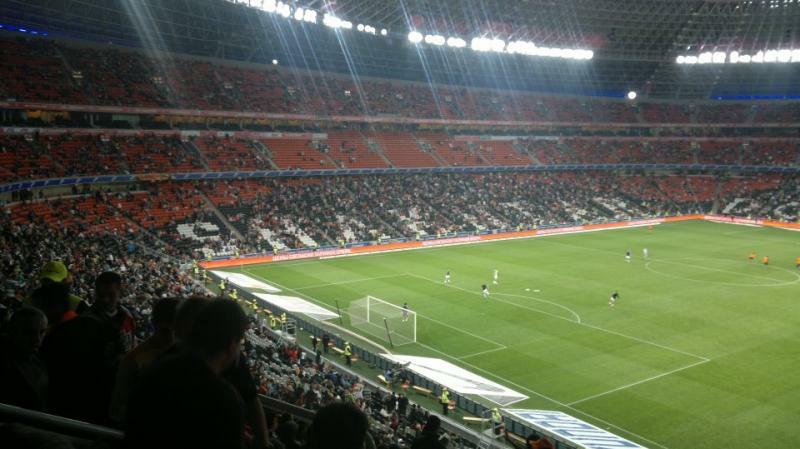 The Donbass Arena officially opened on 29 August 2009 with a grand event which included a concert by pop star Beyoncé. The first football match was a Ukrainian league match played one month later between Shakhtar and Obolon (4-0). 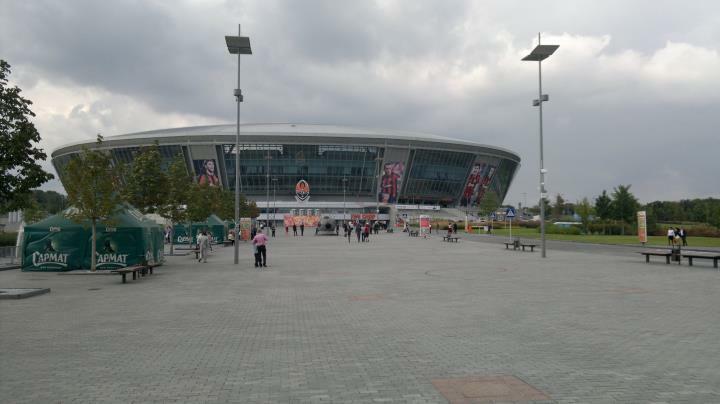 The Donbass Arena was one of the playing venues of the Euro 2012 championships. During the tournament the stadium hosted three group matches, a quarter-final, and the semi-final between Spain and Portugal (0-0). The stadium sustained significant damage during the regional armed conflict in 2014 as a result of shelling and is currently not operational. 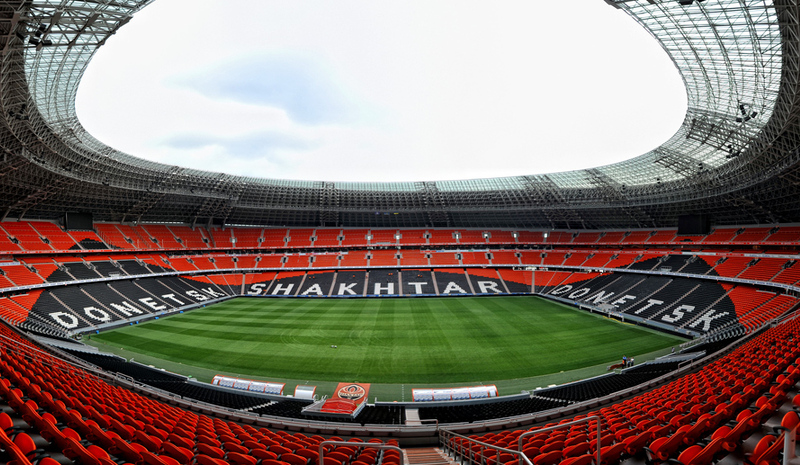 Shakhtar have moved away to play their home games in Kharkiv, in north-eastern Ukraine. 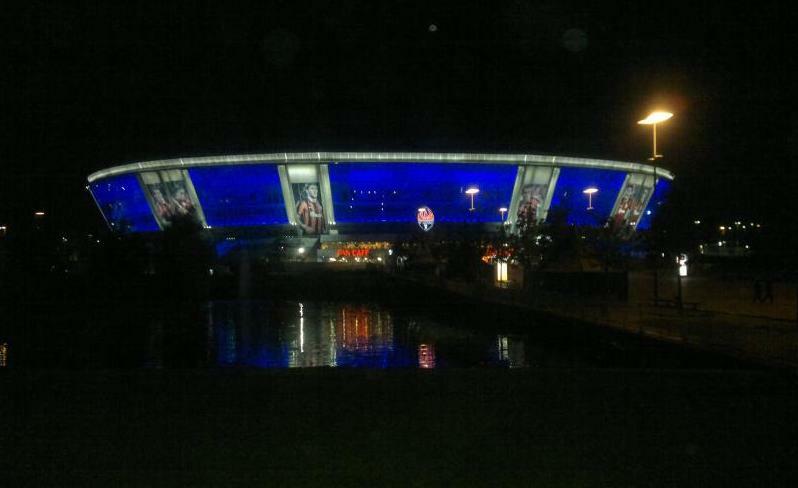 The Donbass Arena is located in the central Voroshylovskyi district, tucked against the northern edge of the city centre. The stadium is within walking distance of most city centre locations. On its northern side lies Leninskogo Komsomolo park. The main railway station is situated further north, approximately 6 kilometres. Tram line 1 brings you in 20-25 minutes to the stadium. Get off at stop Prospekt Mira. Alternatively take trolleybus line 2 and get off at Bely Lebed shopping mall. Buses that serve the stadium are line 13, 14, 16, 46a, 46б, 73б, and 77. Your stop is Krytiy Rynok. 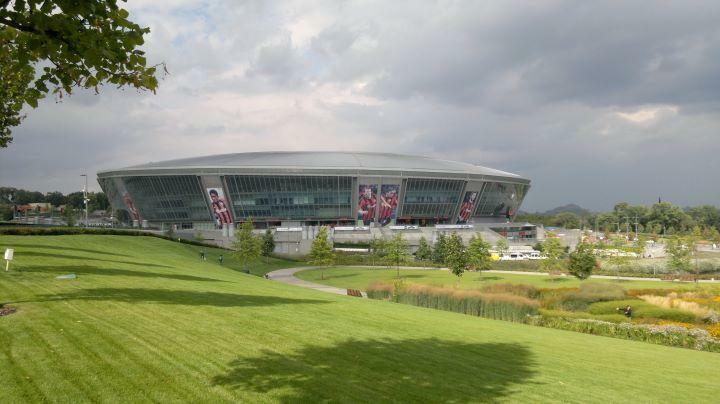 The Donbass Arena is conveniently located on the edge of Donetsk’s centre. There are a few shopping centres at close distance of the stadium, and Donetsk’s main drag, Artema Street, runs only a few blocks away to the west. Follow Artema Street south and you will bump into various bars and restaurants. The stadium is surrounded by several parks and is at close distance from the Kalmius reservoir, which makes the area particularly pleasant on a summer’s day. There are a few hotels located almost next to the stadium, most of the luxurious type. The Victoria Hotel Center and Shakhtar Plaza are two of the options. Click here to see all hotels near the Donbass Arena. There are more hotels in different price categories further south toward Donetsk’s city centre. Click here to see all hotels in Donetsk. Due to the armed conflict that is currently ongoing in eastern Ukraine, Shakhtar play their home games away from Donetsk. The Donbass Arena used to offer guided stadium tours, but these have been halted due the armed conflict in eastern Ukraine. 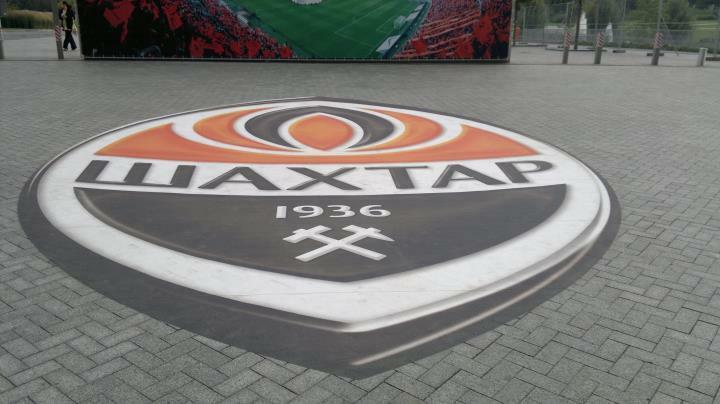 Shakhtar.com – Official website of FC Shakhtar Donetsk. Donbass-arena.com – Official website of the Donbass Arena. Went to the Donbass in early October to see United play there in the champions. Superb ground and only £7 for a ticket! Not the easiest of places to get to but locals very friendly and a great trip.